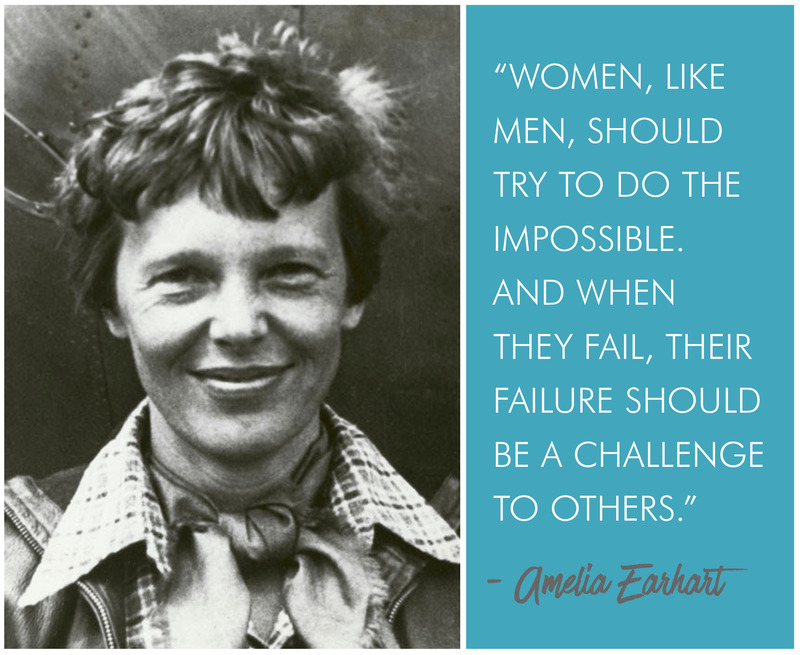 The fearless and revolutionary Amelia Earhart was not only known for her incredible feats in aviation. She was also a fashion icon in her own right, rocking a classic, menswear-inspired, layered look that remains popular in the contemporary fashion world today. 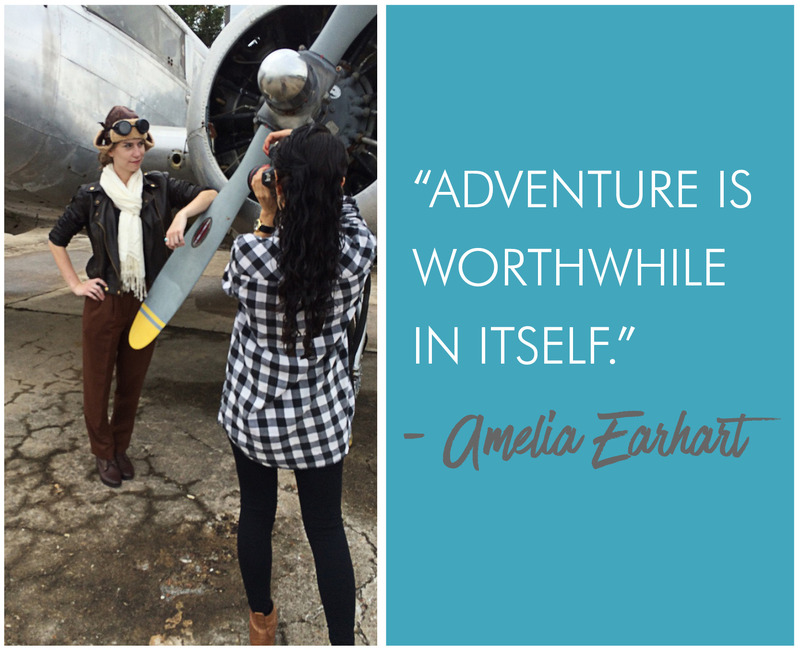 Amelia’s signature style is easier to recreate than you may think! Simply pair some fall staples from your closet with a couple of fun accessories to create her powerful look. 1. 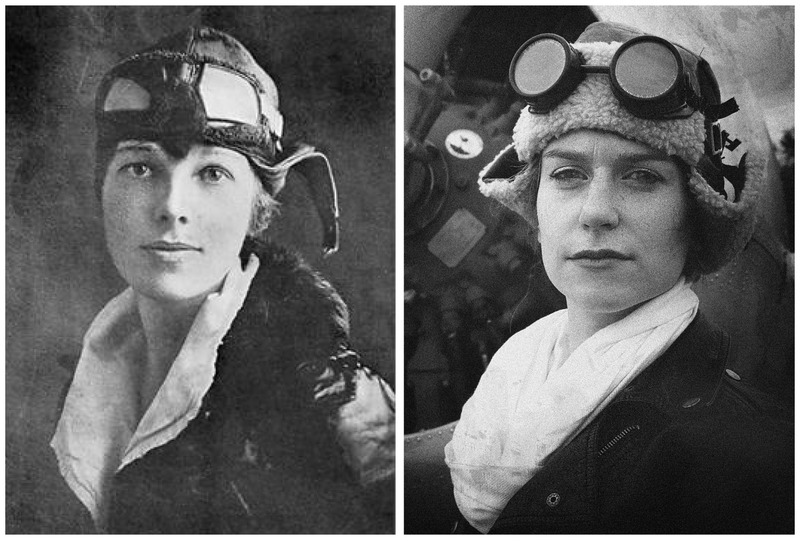 Amelia was the first woman to fly across the Atlantic (in 1928), and the first person to fly solo from California to Hawaii. 2. She launched her own clothing line, targeted towards women living active lifestyles. 3. 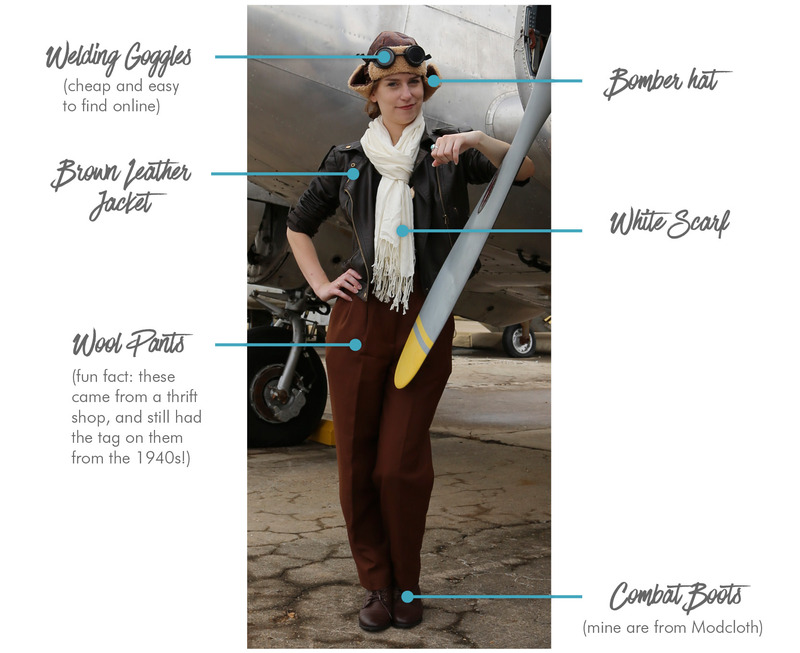 She published 16 articles in Cosmopolitan magazine, all encouraging women to fly. 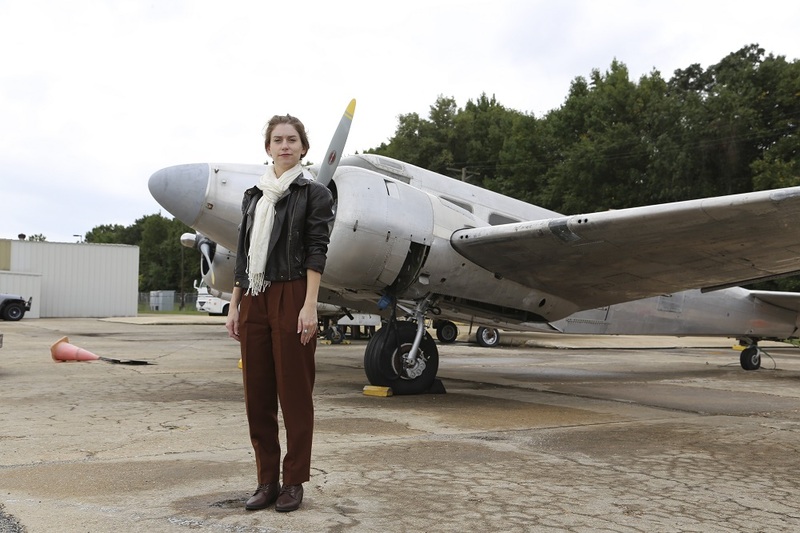 We really lucked out with our photo shoot location, Martin State Airport. 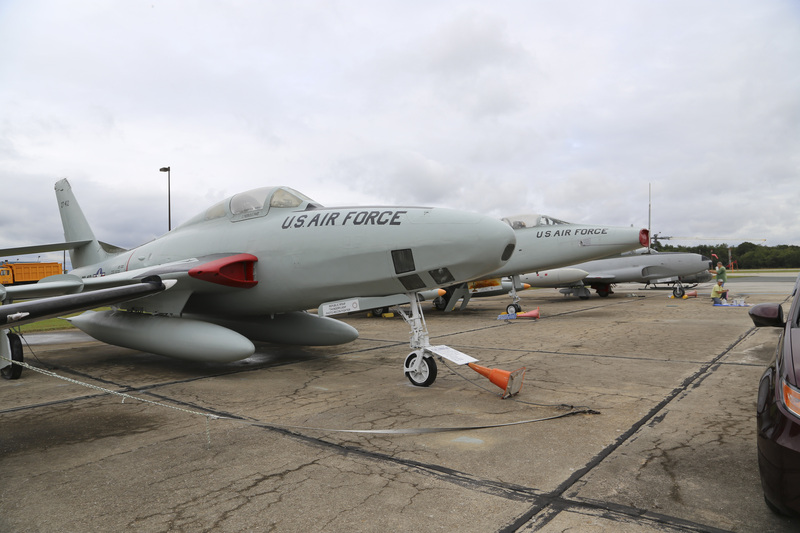 This airfield is right near where I grew up – my father (a former National Guard helicopter pilot) used to take me here to look at the historic planes. While we were onsite shooting, we learned some awesome facts about this place. 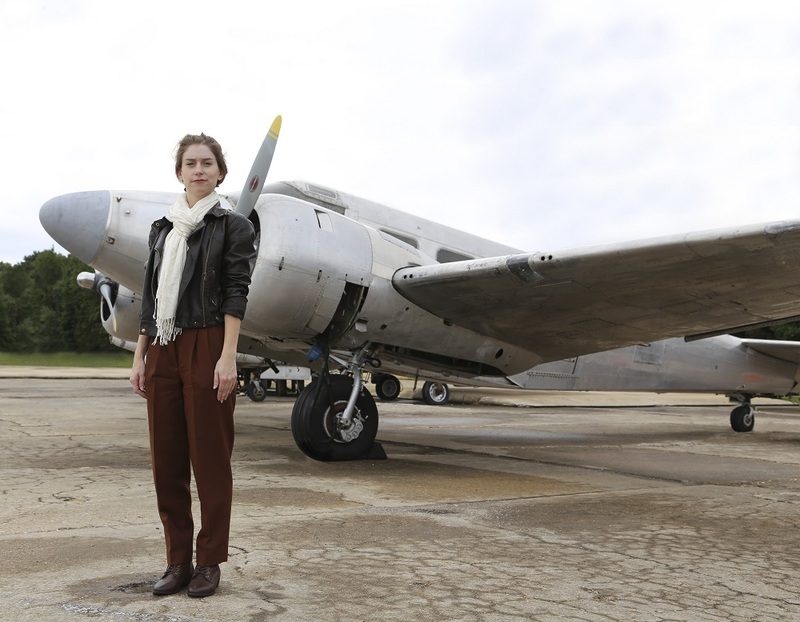 Martin State Airport was the very first to hire women to work on planes. That’s right – this is the birthplace of Rosie the Riveter! *DIY tip: if you’re looking for a similar location for your photo shoot, check this website for more information. We brought along our original photos for a reference, found our favorite plane, and started photographing like mad (right before a monster storm rolled in). After that, we added Amelia’s plane number to the wing of the plane. 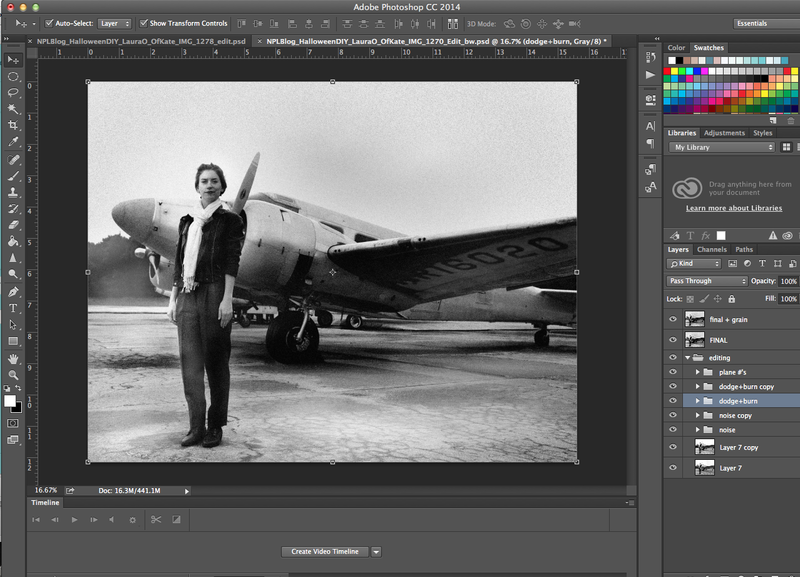 In Photoshop, we then dodged & burned spots in the image to recreate the lighting in the original iconic photo. We finished up the process by adding noise and texture for that “old photo” look. The final photo comparison – how did we do? Have any questions about this costume or about our post-production work? Give us a holler in the comments below, and share your own Halloween photos with us on Facebook or Instagram! Good for you! Great subject matter! Love inspirational women. Great job and what a wonderful and inspiring idea!